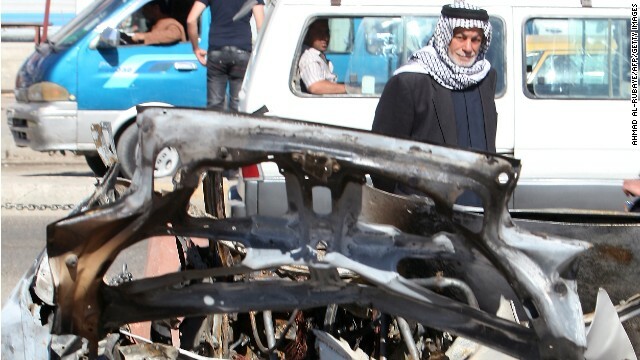 An al-Qaeda affiliate claimed responsibility Wednesday for a chain of 24 bombings and two gun attacks in Iraq a day earlier, as the death toll rose to 61. A statement attributed to the Islamic State of Iraq appeared on extremist websites, calling Tuesday's carnage "retaliation" against Shiite members in government. Though Iraq has grown safer in the last six years, sectarian violence and instability still grip the country 10 years after the start of the U.S.-led war. Islam...what a pathetic way of life. How about we get off oil. No oil, no money to terrorists. hydrogen would seriously help global warming. The tech would put America back n the lead globally. The islamists can sit in their desert and eat sand.